The track came from an unlikely source. 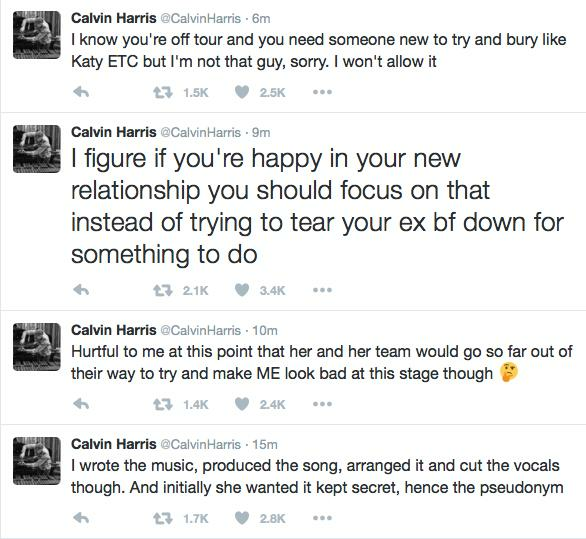 Calvin Harris and Rihanna’s hit single ‘This Is What You Came For’ was actually penned by his ex-girlfriend Taylor Swift. The pop singer, who publicly announced her split with Harris in June, reportedly wrote the song under the alias Nils Sjoberg, a rep for Swift has confirmed to People. She reportedly penned the single at a piano and recorded it straight into her iPhone, before sending it to Calvin Harris. The pair then recorded the full demo together and agreed to keep their collaboration a secret, according to TMZ. However Taylor Swift was allegedly hurt after the Scottish DJ inferred that he didn’t want to work with her in the future. “We haven't even spoken about [collaborating]. I can't see it happening though,” he told Ryan Seacrest in an interview at the time. This was reportedly a breaking point in their relationship. Since then Taylor Swift has moved on with actor Tom Hiddleston, while Calvin Harris has released new songs with Dizzee Rascal and John Newman.